The word influencer is a tricky one, isn’t it? It’s used to describe a person with a significant, and therefore influential, social media following. But something in the term suggests they might just be masters of a dark art using sinister powers to manipulate their followers. I can see why even influencers themselves shy away from it. CJ Brough, who specialises in working with brands and influencers, has a nice alternative. She calls them as “talent”. It’s a term that harks back to simpler times, when TV or radio presenters would have been referred to in the media industry as “the talent”. CJ thinks it’s exactly what sets them apart. CJ thinks that if you gave 100 people a smartphone for a week, maybe one of them would have the talent required to generate content engaging enough to grow a loyal following. Psst, if you would like to listen to this interview rather than read it, then scroll straight to the bottom of the page. 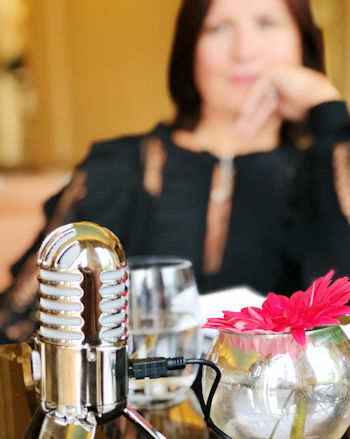 I met up with CJ at beautiful Stoke Park, close to her home in Buckinghamshire (its a lovely, old-school hotel and members club, but it’s a bit off the radar and CJ’s trying to persuade them to run an influencer marketing campaign to raise their profile). She is a traditional PR agent, who spotted the marketing possibilities for brands on Instagram early on. 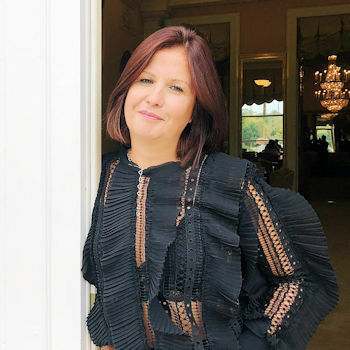 She began to find that PR campaigns in papers and magazines were losing their effectiveness, “I realised traditional media just was not having the impact that was required for the brands I was working with”. At the same time she started following influential stylists and makeup artists on Instagram, “and I thought this is where people are going to be talking about what they are eating, drinking and wearing”. So with her business, Blunt Communications, CJ has carved out a role as a talent spotter and fixer, who brings brands together with the best influencer talent for their campaigns. So which influencers does she particularly admire, who is doing the job brilliantly? But CJ reserves particular praise for Simon Hooper, better known to his 885 thousand followers as @father_of_daughters, “I think Simon, with his creativity in the way that he talks about his family, for me consistently pushes the boundaries of what content creation is“. Whatever you think of the term influencer, if you spend just 5 minutes on Instagram it will become obvious that there are a lot of people out there who would like the gig. The promise of free clothes or holidays or even payment for promoting products on your social media account is tempting to many. So what is CJ’s advice if you would like to make a living on Instagram? It’s her view that you need to have at least 10 thousand followers to become attractive to brands. This is the point at which Instagram grants you extra links, the Swipe Up feature, in your Stories feed. “Getting to 10k is hard, and you can be of interest to a brand below that level, but you have to be realistic that it is pretty much what you are aiming for”. She says that once you have found your ground “connect with people like me. Start coming along to events. It might mean you have to buy a train ticket, but you can put yourself out there”. She also suggests joining up with other Instagrammers, in effect pooling your following, “then as a unit, you become very useful to a brand”. And what if you want to use influencers to promote your brand? How about the influencer industry from the other side, as someone who wants to sell a product? CJ thinks it’s a great thing to get involved with if you have a small business because it is a marketing strategy that you can do yourself. 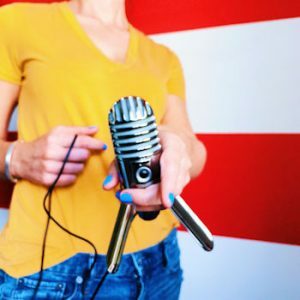 She suggests drawing up a list of 5-10 influencers that you would like to work with, then trying to build a relationship with them. She says “find the people that you want to engage with, but don’t go in cold. Follow them for a week, and without being weird or stalkerish…comment on their posts”. In other words, try and build a natural relationship, the same way you would if you were meeting someone in real life. With regards to gifting items to influencers (in the hope that they will feature and review them on their account), she says “a is a gift, don’t ask for anything in return”. One of my big takeaways from our discussion was the huge importance of the Stories feed on Instagram now. CJ says, “I have to tell myself to get off Stories and scroll down, if I am doing that then I think that everyone else is”. Statistics from campaigns that she has run with major influencers show that engagement on Stories is “way higher, typically” than on their main feed. CJ won’t be drawn on the future of influencer marketing on Instagram, as it is a burgeoning and fast-changing industry. One thing she is clear on is that large brands need to adapt their marketing campaigns to reflect the pace of the social media saying, “we are all going to have to work faster, and harder”. Press play below to listen to our conversation in full. Here are some time codes to help if you are short on time. CJ Brough also helped me with a post about finding your niche when you are building a personal brand, click here to read it. Love how you write.. as you know! A real ‘talent’!